Former Navy commander & author of It's Your Ship. In tough economic times, it is critical that all organizations utilize every asset at their disposal to survive and thrive in the global marketplace. While corporations have done a phenomenal job of wringing inefficiencies out of their processes and procedures, everyone knows that you can't cut your way to greatness. There remains an under appreciation and investment in their top asset, people. While economic headwinds have many companies fighting for survival, it is during times like these that great companies are borne by having a relentless focus on innovation and executing new ideas that capture the imagination of the marketplace. A best-selling author of one of the most acclaimed business books of all-time and himself a successful entrepreneur, Mike Abrashoff has traveled the globe speaking to and consulting with some of the world’s most innovative companies. Leveraging his own leadership experiences and having seen up-close-and-personal what separates organizations poised for growth from companies that can’t move beyond the status-quo, Abrashoff equips organizations with the strategies, tactics and tools necessary to unleash innovation, lead meaningful change and improve operational performance. Abrashoff will walk leaders through the 5 step process necessary to create innovation-focused, adaptable, high-performance teams, giving them the takeaways and know-how that is essential to getting organizations on the path to future success. When Mike Abrashoff took command of the USS Benfold, the ship’s performance ranked at rock-bottom. Worse─the crew didn’t feel safe should they be called into action. Determined to improve performance, but without the power to hire, fire or promote personnel, Abrashoff focused on what he could change: the ship’s culture. His innovative approach broke from the traditional command-and-control leadership style and sought to see the ship from the eyes of his crew─creating a guiding set of principles he calls Grassroots Leadership. When crew members asked Abrashoff to solve a problem, his response became, “It’s your ship─what would you do?” The result was an empowered and engaged team that turned the ship into the Navy’s top performer. People at every level in business relate to Abrashoff’s dilemma: being held accountable for results without having the ability to make the rules. 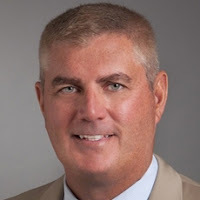 His results-oriented approach equips organizations with the strategies, tactics and tools necessary to unleash innovation, lead significant change and increase operational performance. 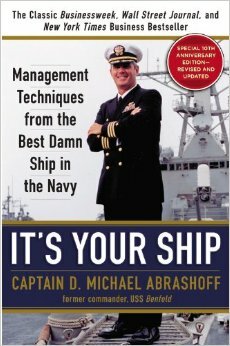 Publications from Fast Company to the Harvard Business Review have heralded this remarkable story─and Abrashoff’s first book, It's Your Ship: Management Techniques from the Best Damn Ship in the Navy, is a best seller with nearly 1 million copies in print. In 2012, the much anticipated 10thanniversary edition of It’s Your Ship was released with updated content and a new chapter.